Tax liens are notices submitted for taxes owed over $10,000. The lien will be placed against all property—land, housing, and personal. The owner will not be able to sell that property until the lien is paid off, or the IRS will take the property to pay off the debt. Tax liens become a greater challenge when you file for bankruptcy, because they may interfere with the removal of your debt. The Bronson Law Firm PC in Addison, TX, wants you to be prepared for the potential problems with filing for bankruptcy when you have a tax lien. Chapter 7 bankruptcy liquidates property to pay off debts. The homestead exemption allows the filer to protect certain property from being sold off. In Texas, there’s an unlimited amount for residence and acreage that can be exempt from liquidation. However, this does not protect the estate from the tax lien. The IRS may still take the home’s equity to pay off the lien. The owner may be able to offer a compromise to pay a lesser amount on the lien and save their home. 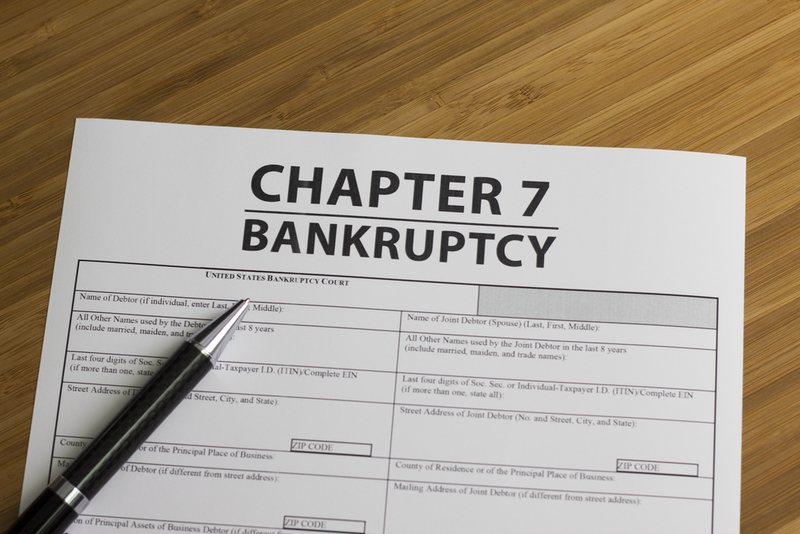 Chapter 7 bankruptcy doesn’t allow the trustee to sell off personal property to pay their debts because of its value and additional homestead exemptions. However, this does not save that property from tax liens. The lien must be paid, or an installment agreement must be established to pay off the debt and save the personal property. Chapter 13 bankruptcy doesn’t liquidate your property. It helps eliminate debt by creating a payment plan the filer can manage based on their income. The trustee will distribute the money to creditors over a set period of time to pay off all or part of the debt. In this case, the IRS is a creditor, and the tax lien will also be included in the payment plan. This may interfere with the filer’s ability to manage the payment plan and force them to refile for Chapter 7 bankruptcy instead. A tax attorney will be able to determine the best way to manage tax debt when filing for bankruptcy and help you avoid IRS seizures of your property because of tax liens. They may be able to negotiate with the IRS to reduce or eliminate the lien. If you’re in Texas, put your trust in The Bronson Law Firm PC. Call (972) 770-2660 now for more information on how they can protect your property from tax liens during bankruptcy. You can also visit them online to schedule a consultation.